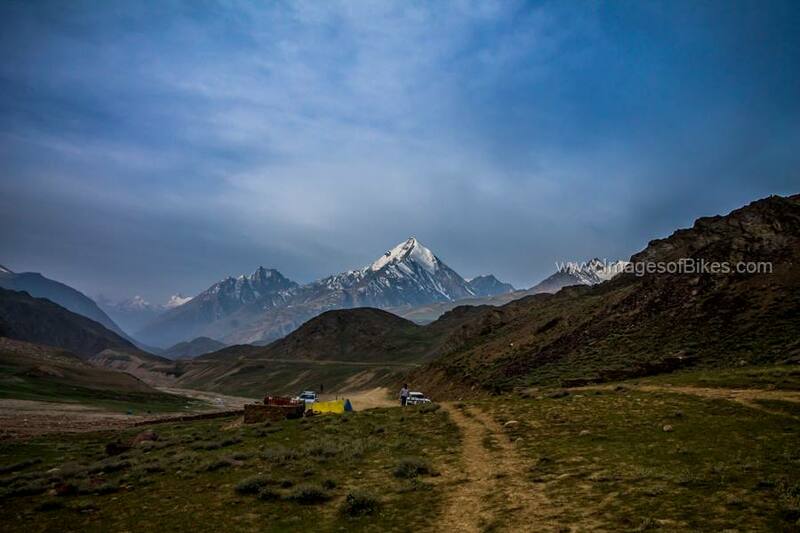 Its Day 7 and we are at chandratal lake camp, last night was as chilly as it gets, temperature dropped to 4 Celsius. Due to high altitude we were unable to sleep, and we woke up at 5 AM, there was enough light to take some good snaps. 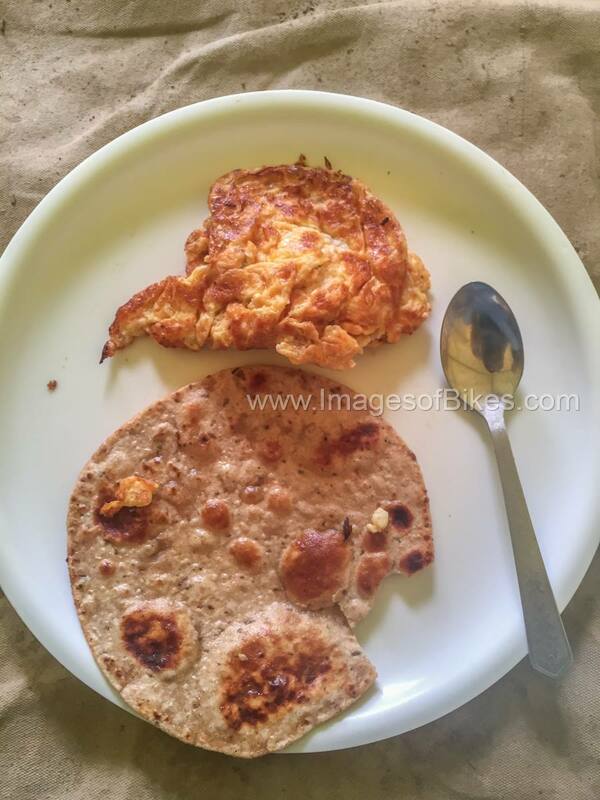 After doing that we had omelette and Paratha for breakfast and we left to see the lake. 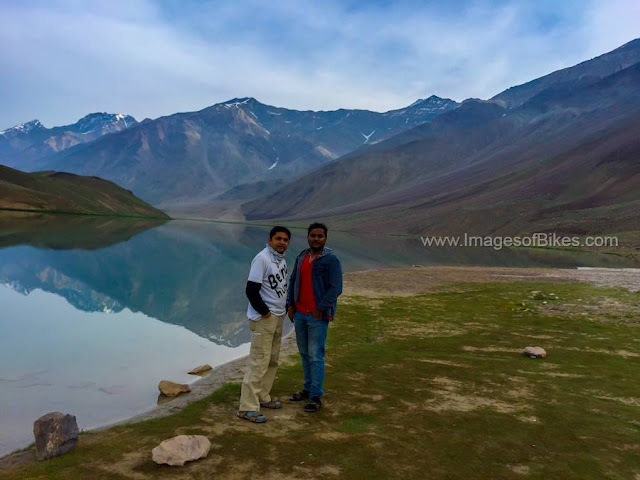 The Lake was 6 to 7 kms from where we were staying, we parked our bikes and we had to trek for 2 kms to reach the lake. Due to the high altitude it took us 40 minutes to cover the 2 KM trek :( . 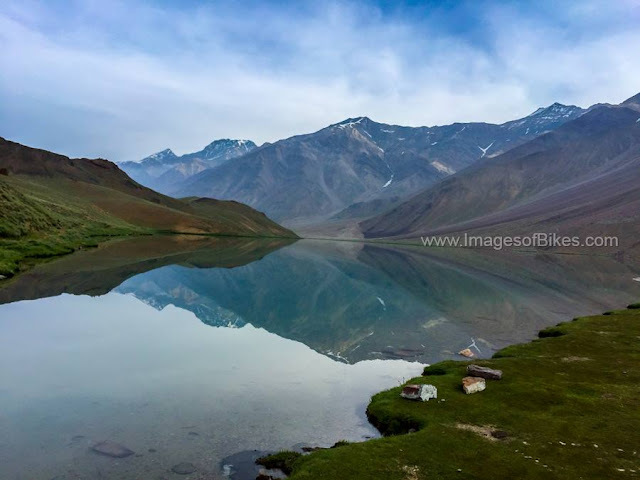 But that effort was worth it, when you see the immense beauty of the chandratal lake. After getting some one on one time with the mother nature, we packed our bags and commenced on our journey towards Manali. 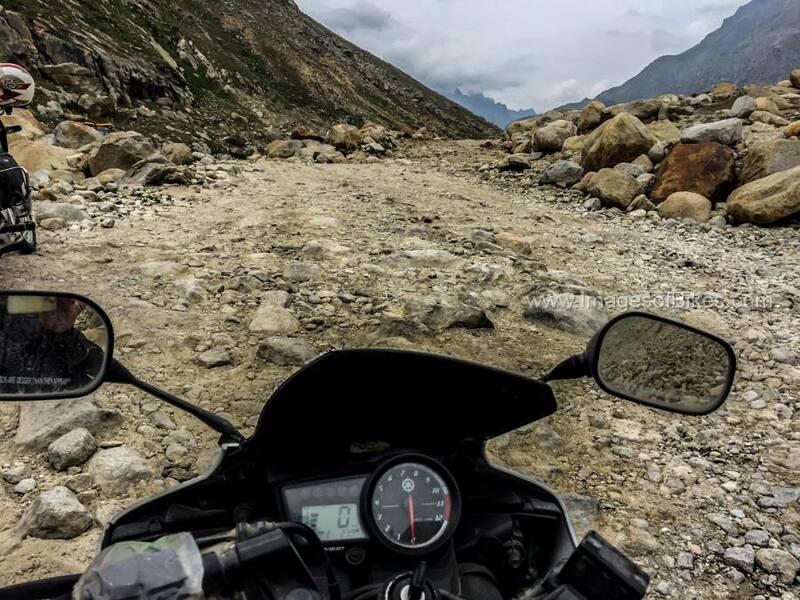 While on our way to Manali some fellow travellers informed us about the water crossing so we were mentally prepared for some turbulence ahead. After driving for some 13 Km we came face to face with the first water crossing , which we negotiated safely, then came another one, then another one after that, the water crossings seems be never ending and it felt like we were driving in circles. Afer spending more than half of our day on stones/water and with the help of short breaks, and after successfully crossing more than 15 water bodies we were exhausted but we some how managed to cover the last few Km's after the last water crossing to reach Gramphu. 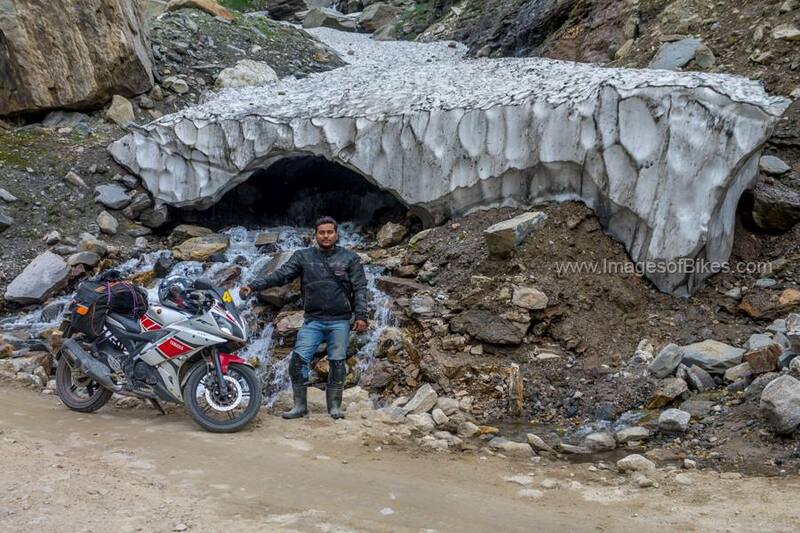 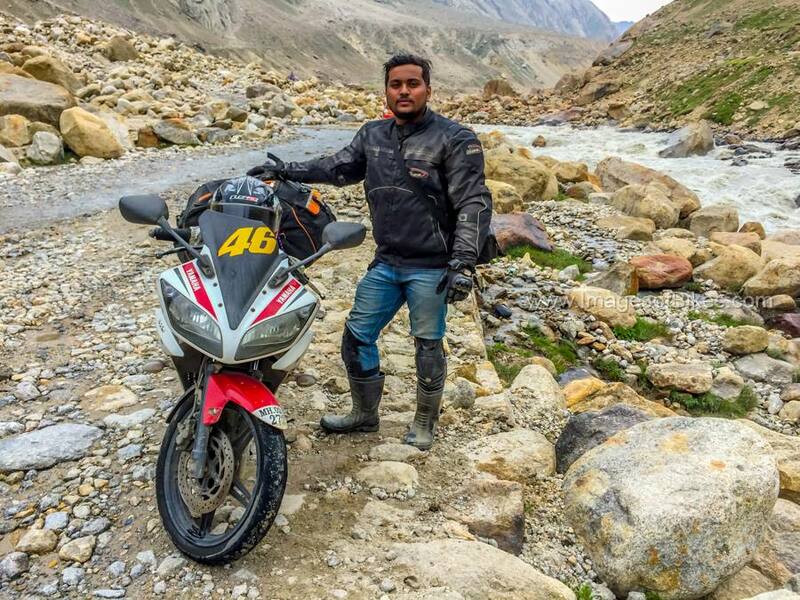 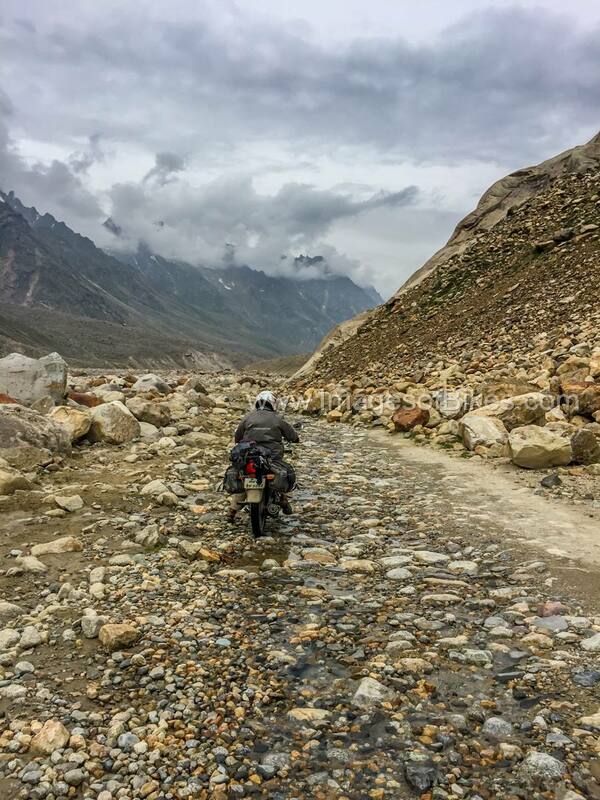 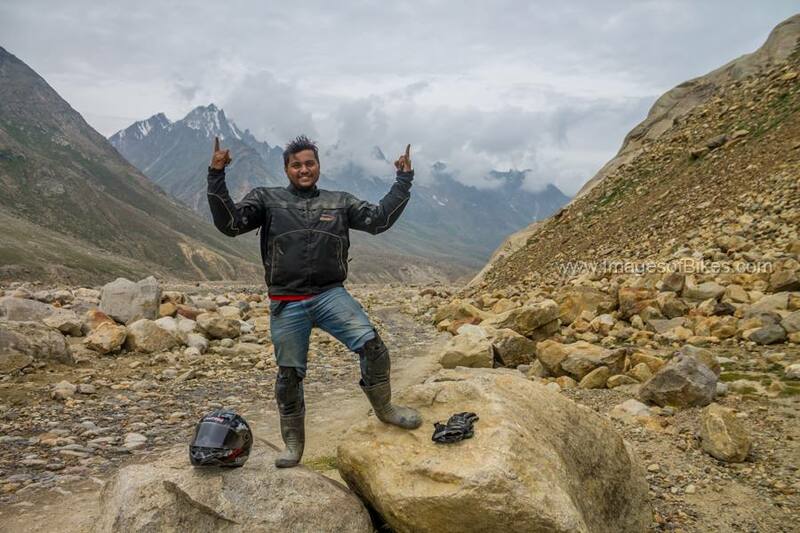 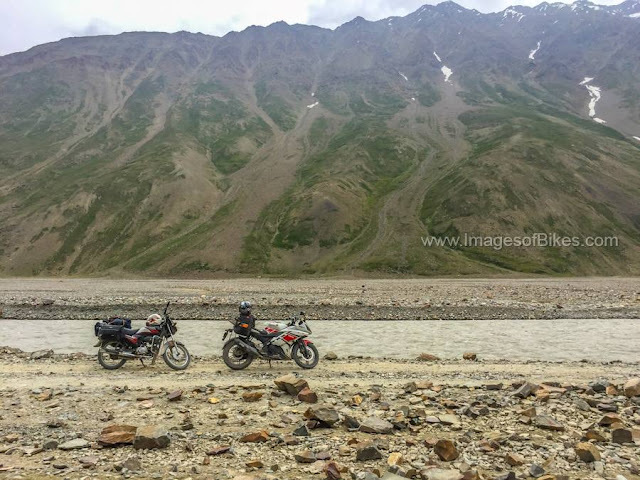 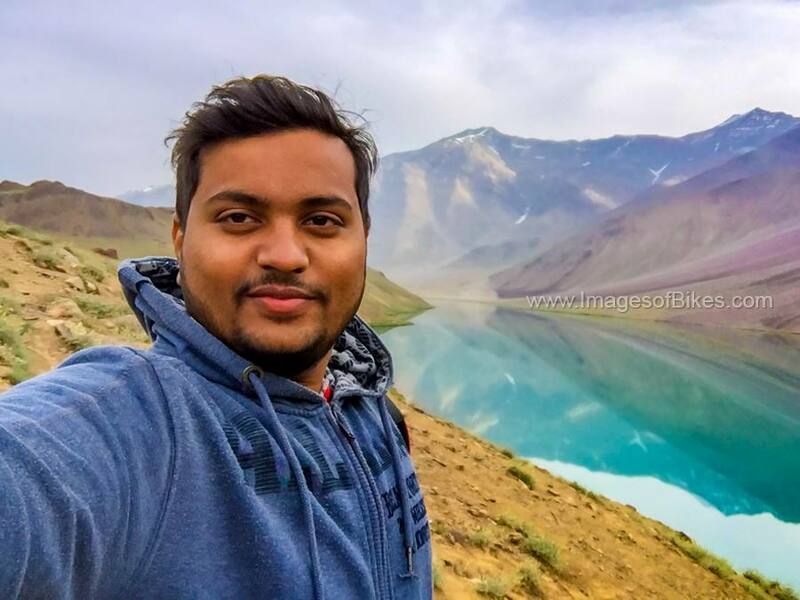 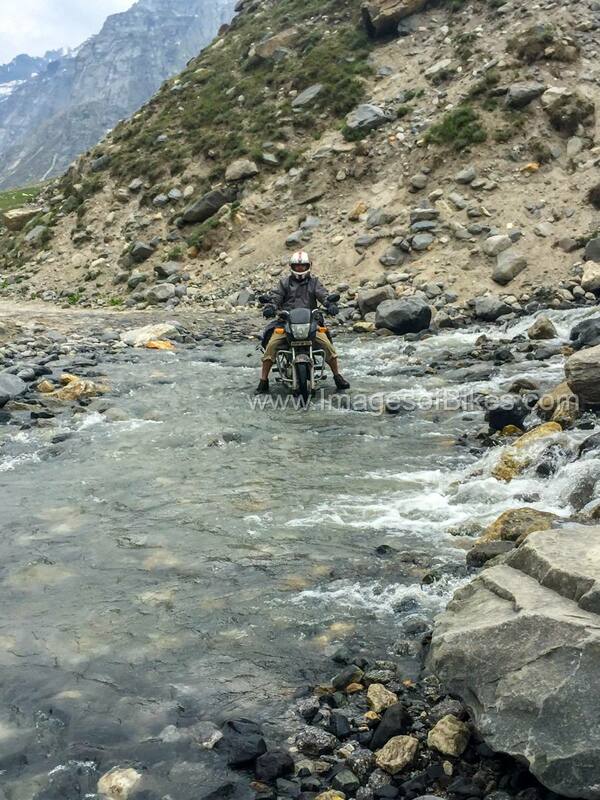 In my entire Spiti Valley ride, Chandra Taal lake to manali road was the worst patch i have ever encountered. 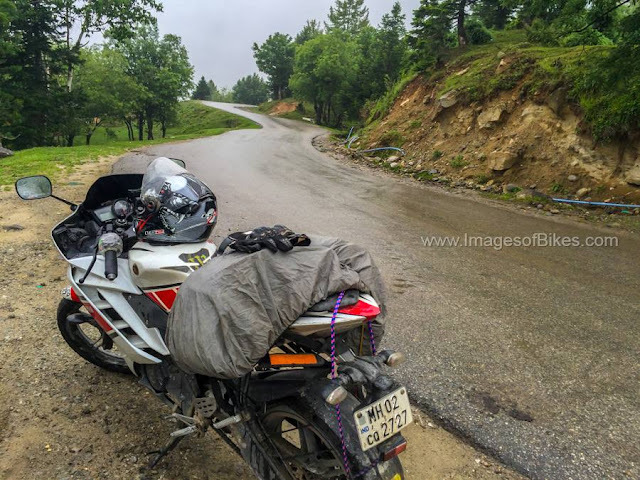 The original plan was to reach manali till afternoon but we only managed to reach Gramphu and we still had 60 Kms to cover before we could lay our eyes on beautiful Manali. 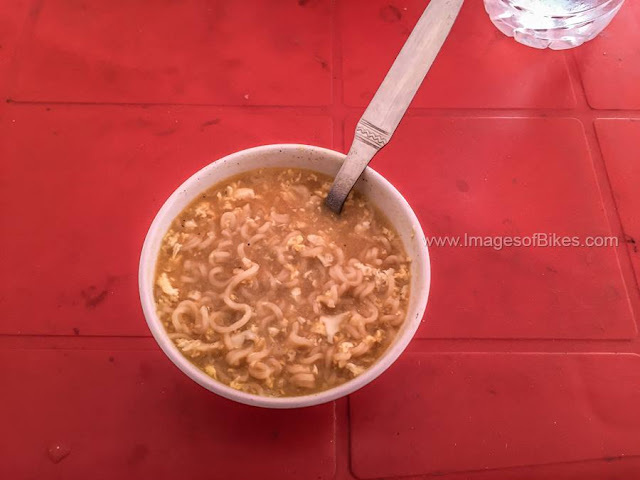 Our empty stomach didnt allowed us to go any further so we halted for lunch and ate maggie as were nothing else to eat. We continued our way to manali, and to our advantage the road seemed to be in good condition as far as our eyes allowed us to see. 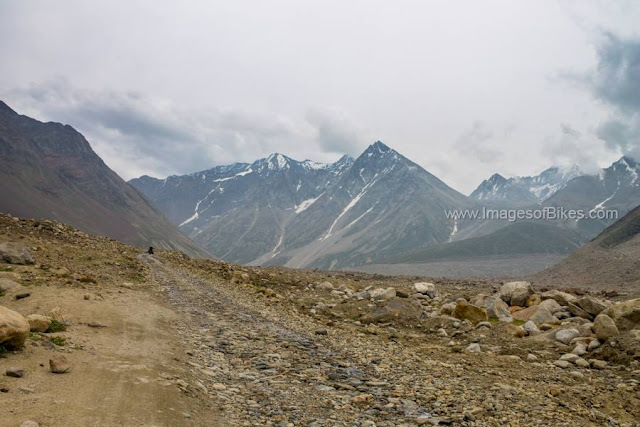 The curvy road indicated that we were near the Mighty Rohtang Pass. 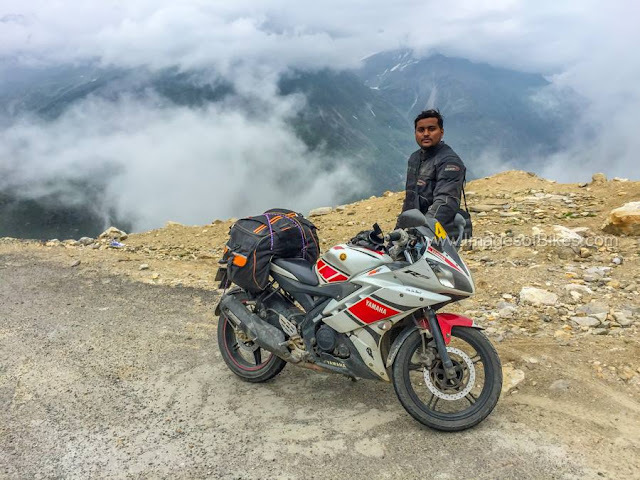 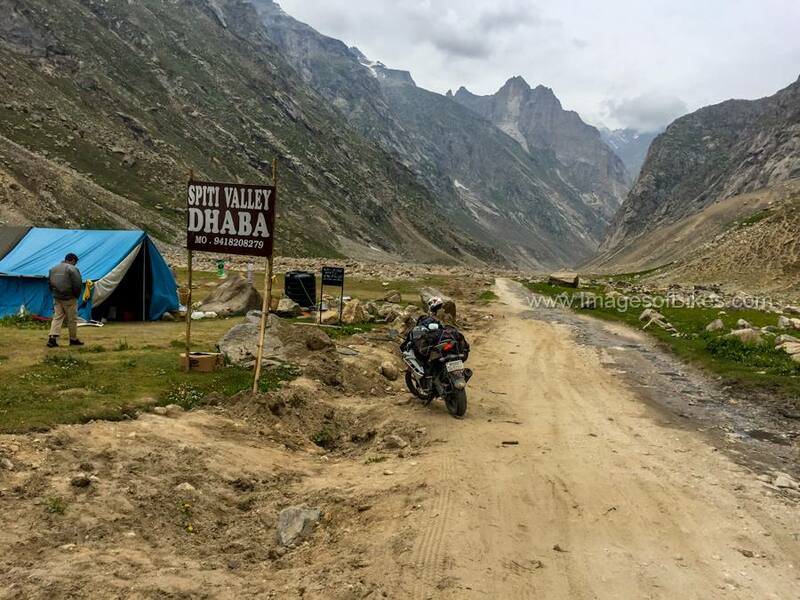 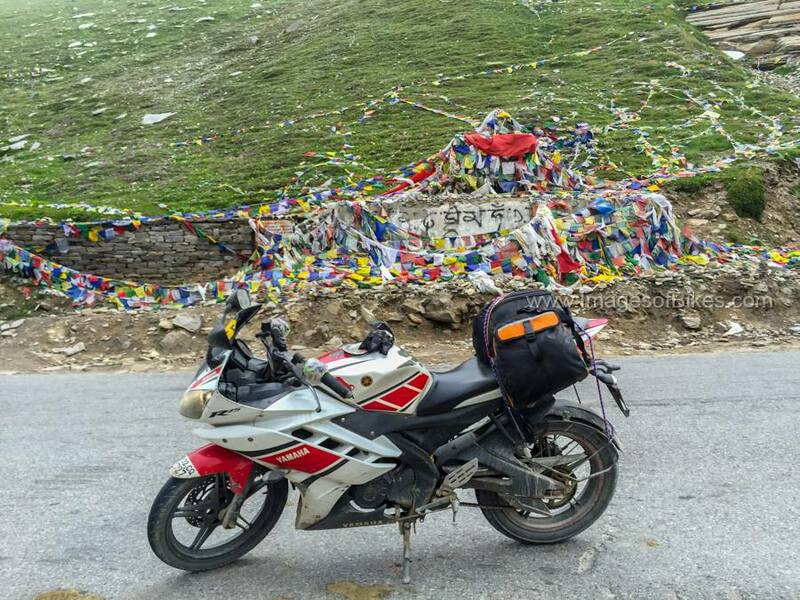 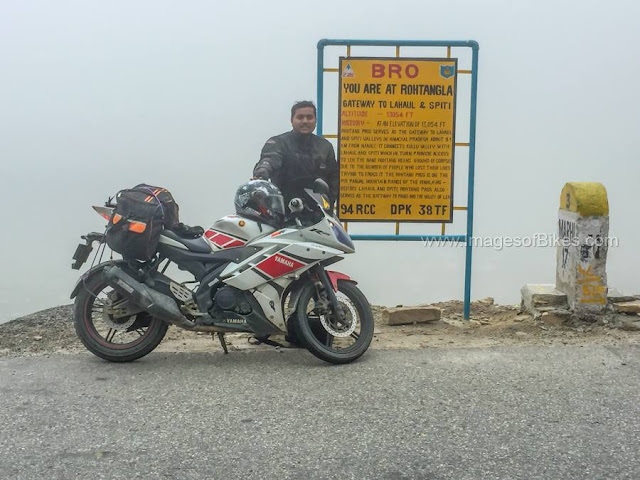 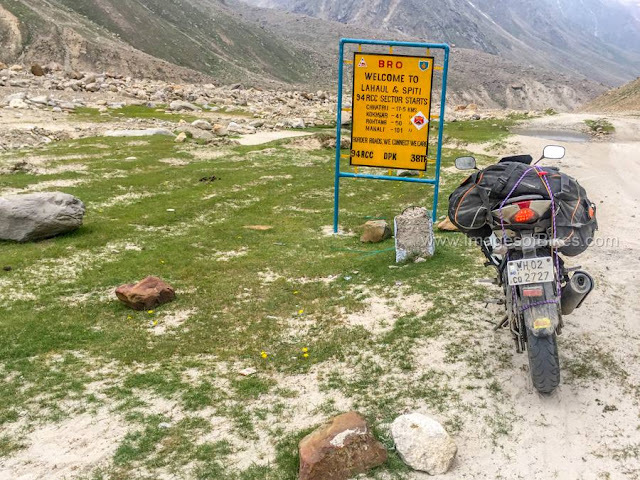 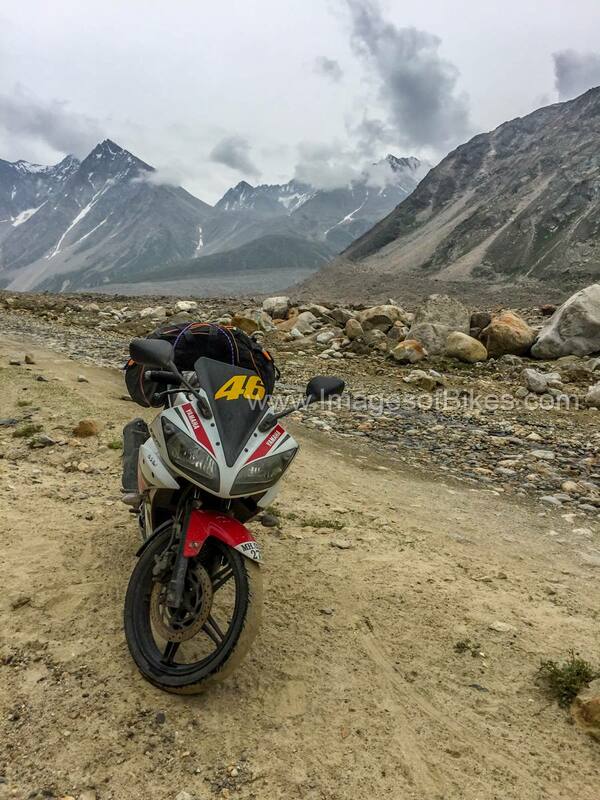 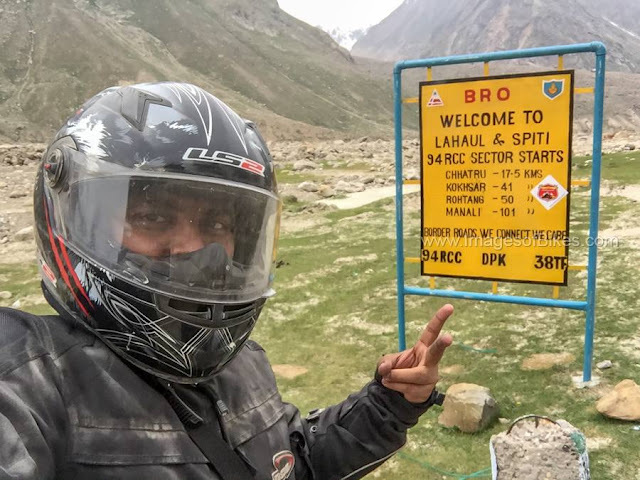 The last time i was in Rohtang the experience turned out to be not so good, so I was ready for something along the same lines.But to our surprise, we found Tarmac ahead and we were able to maintain some good speed. 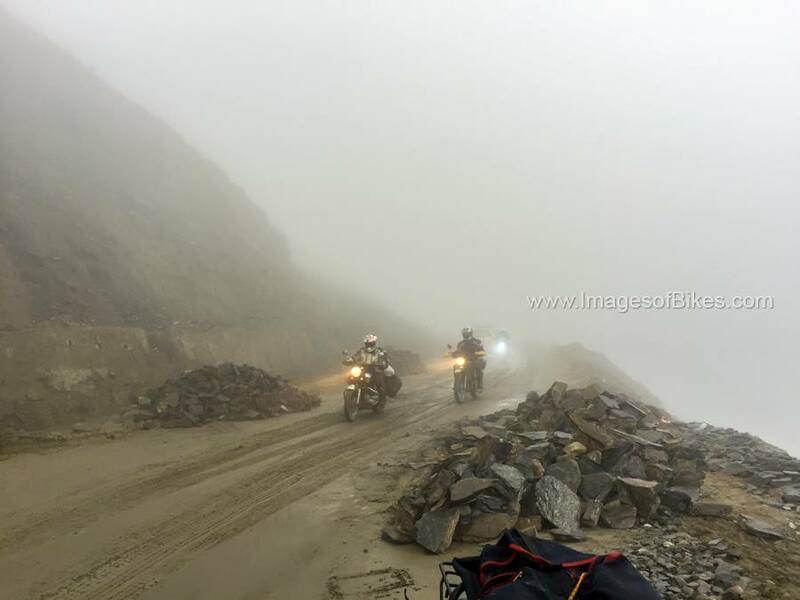 As we continued on Rohtang pass, we gained altitude, fog started to appear and we were unable to see more than 4 feet ahead of us, so we slowed down a bit. 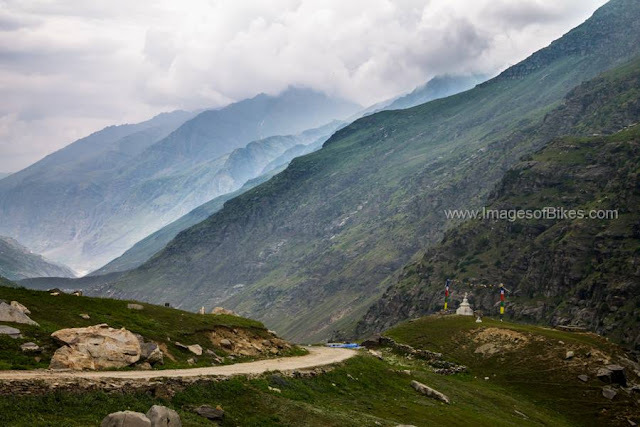 After crossing the rohtang pass, the descent from there was equally good. 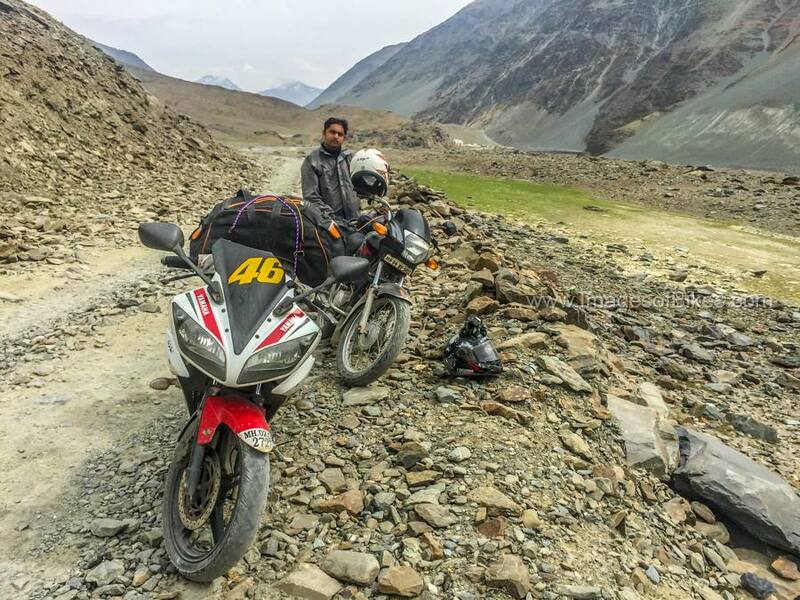 After this exhausting journey finally around 6 Pm we reached to Manali..